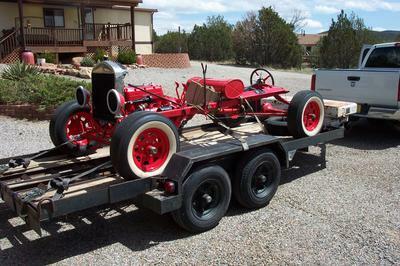 I picked up this rolling chassis and drive train and am now into the wood and body parts to finish it. I have a line on a body and I am now in the process of trying to determine if it is a '23. Nice but modern wheels are not best.Check engine number on block for the year.